It's been a very long day, was at the Burford Bridge Hotel at 10-30 to start shooting the wedding of Jo and John! It was the hottest day ever. But, once again a great couple to work with and wonderful day behind the camera. 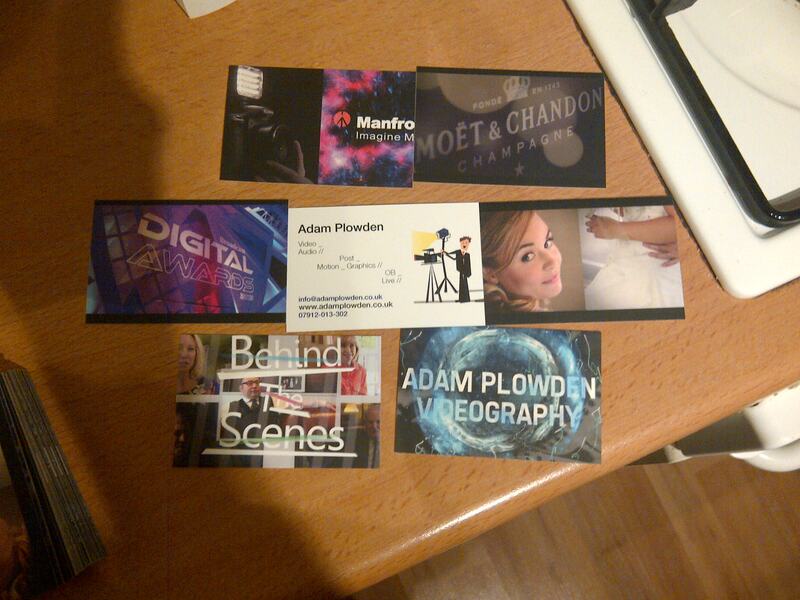 Only to make it much much better by getting my new business cards! Thank you Moo for your glorious cards and printing quality! The backs feature previous works with Manfrotto, Moet Hennessy, Broadcast Magazine, BBC, and John Harris Media. I was so surprised as I only ordered them a couple of days ago and didn't expect such a fast turn-around, so thumbs up to you, Moo! Newer PostWhat I've been working on today..